Home » Excel » How to Insert Content from a Webpage into Excel? Sometimes we want to import a table from a webpage into Excel. People usually try to copy – paste it into the spreadsheet, which might work sometimes, but there are better options that are successful every time. 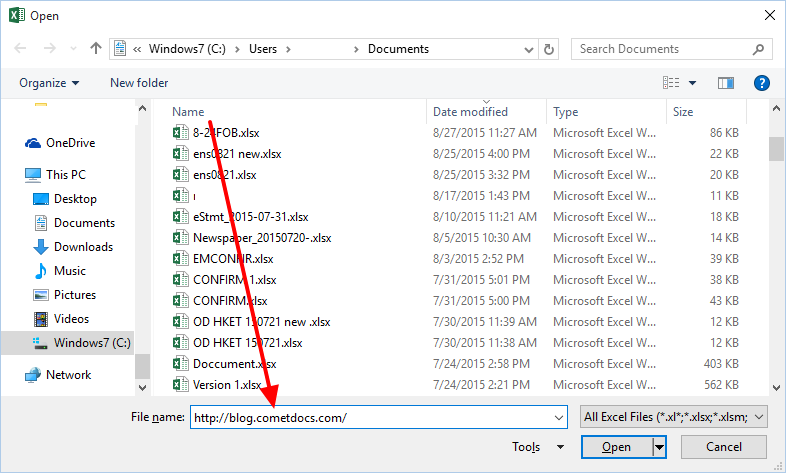 There are two ways you can import content from a page on the internet into Excel. The first way is to simply insert the webpage URL in the File name field as shown in the image, and let Excel do its work. 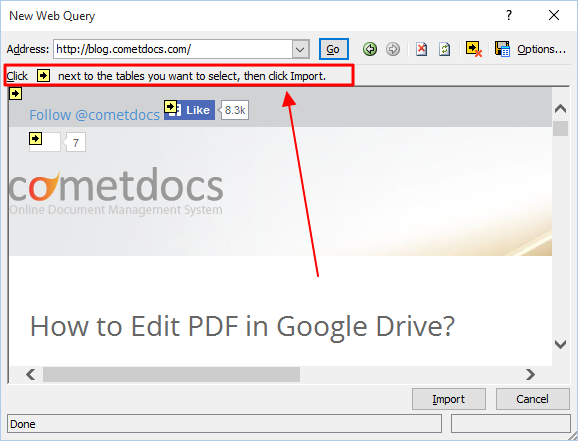 Go to File – Open – Computer – Browse and just paste the URL address in the blank field. The import will last a couple of seconds depending on the page size. All content will be imported along with images and text, so it’s best if you import tables from the web in this way only if there is no other way to get the data. All the sentences and numbers will be properly aligned into rows and columns. For further reuse we suggest that you copy – paste the needed data into a separate worksheet because if left in that same one, it may get lost. The second and better way to import tables into Excel is to go to Data – Get External Data – from Web. A new window will appear. Enter the URL address of the webpage. Once it loads there will be a small yellow mark next to each table. Click on the one you need and it will automatically be inserted into Excel. Very simple and time saving.